I have been hanging around Sham Shui Po looking for some fabric recently. As I always keep an eye open for good ideas (or stuff that I will maybe use one day…) I have seen a few shops selling leather coupons at the corner of Ki Lung Street and Wong Chuk Street. So I have decided to try making a leather pouch based on similar design as my Japanese zipper pouch but with some additional features: pockets for cards and feather charm. Also I wanted to integrate some chevrons in my design. 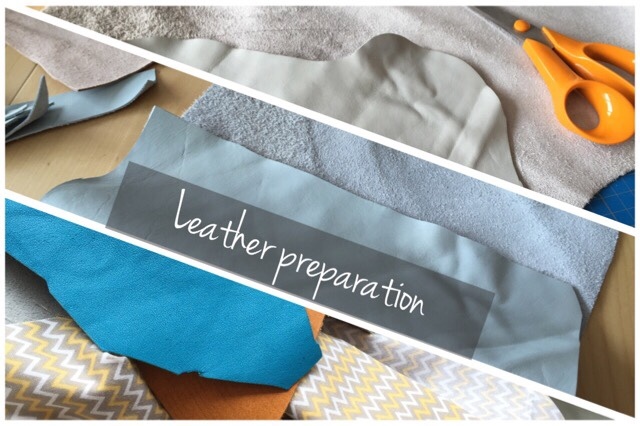 Prepare your main leather piece by cutting a rectangle which is 1cm bigger on all edges than the final pouch you need. For this use a strong cutter and a cutting board. 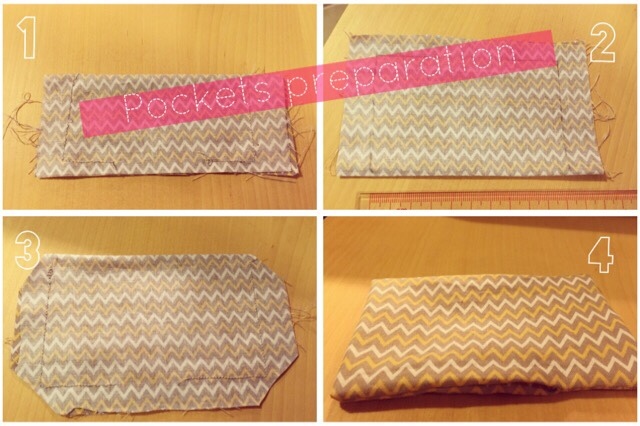 Prepare also the chevrons by using a template. 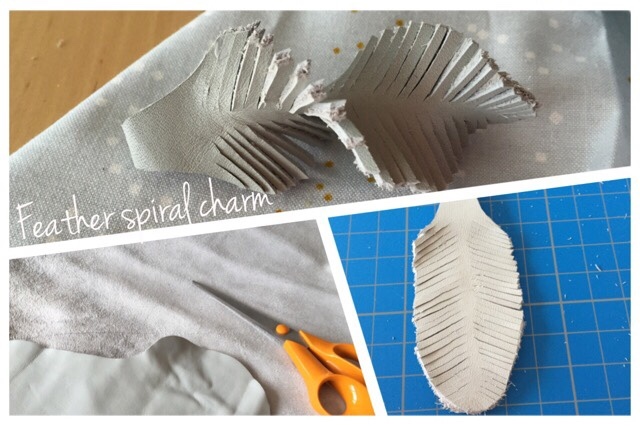 You can easily make your own at your chosen dimensions by cutting a rectangle, folding it in two and cut it twice diagonally. 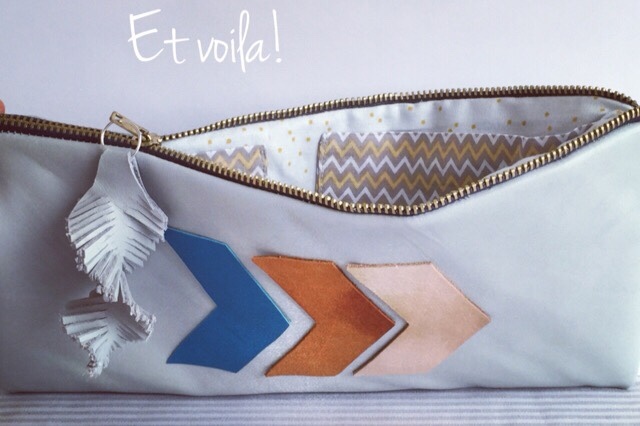 When you unfold, you get your chevron template! 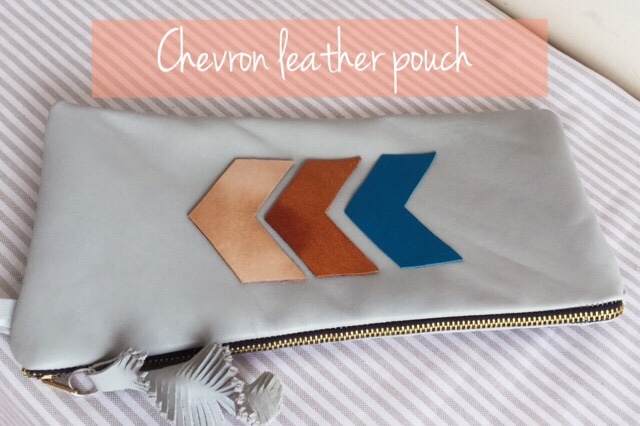 Take a soft-lead pencil to mark the contour on your coloured leather pieces and cut them. Then, you can also prepare the feather charm by cutting a strip of your main colour leather, (or any other if you prefer!). 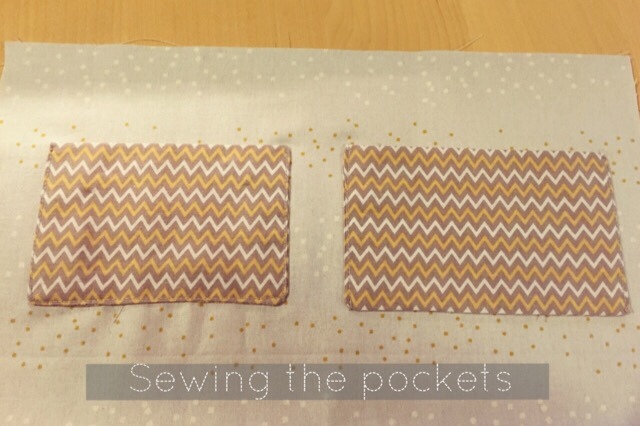 Fold the strip in two and glue the parts together using fabric white glue. Leave 1cm without glue at the fold so you can use a ring to hold it later. Put a heavy book on top and leave the glue dry. We have many other things to do anyway! 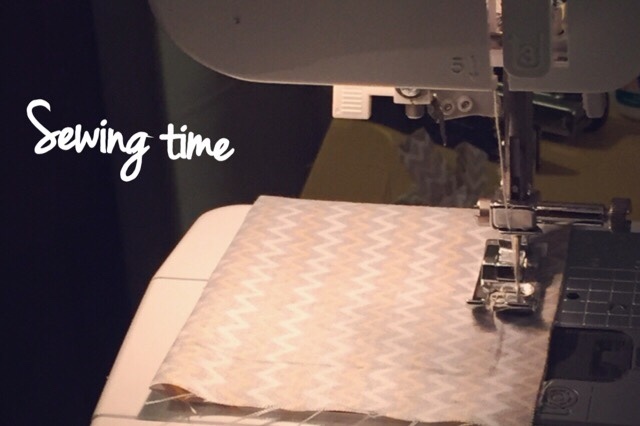 Prepare your main lining piece of fabric by cutting it to the same dimensions as your leather main piece. My two fabrics are beatiful cotton korean prints. 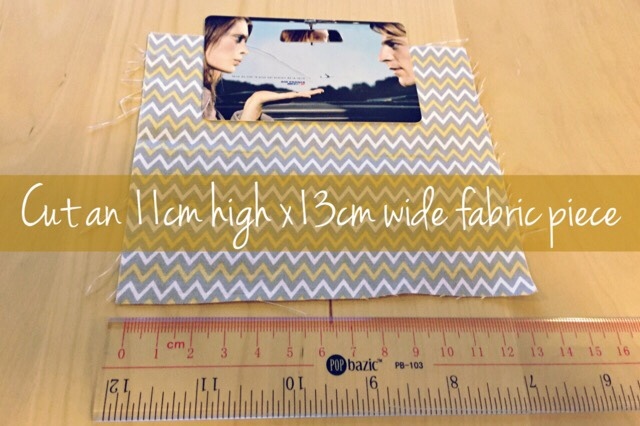 Prepare your pockets fabric using a standard card as a reference for the measures. You have to leave at least 1cm around the card. Also you want to see the top of the card so you you just have to cover 3/4 of the height of the card. 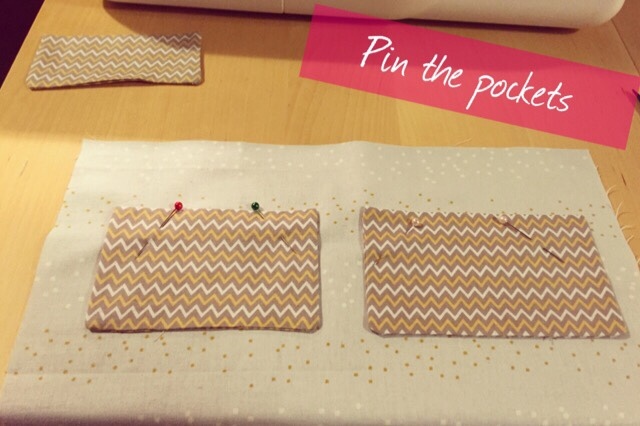 Last point, if you want to have 2 pockets, make sure you sew the lower one higher for the same reason. See picture below. For this part, I would refer to the clear explanation from craftbuds and just provide you the pictures to illustrate this part. One reminder: do not use pins with leather! You would make holes that would not disappear. Use paper binder clips instead. 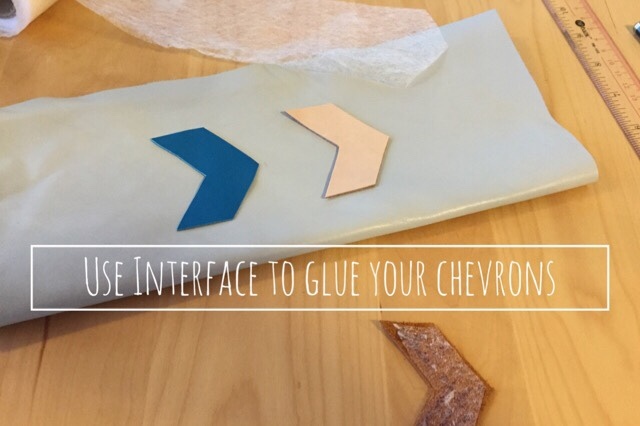 To glue the chevrons, cut the interface cloth following the chevron shape. I bought my double-sided adhesive cloth from Living Plaza, 2/F, Commercial Complex, Tai Hing Garden Phase II, 10A Ho Hing Circuit, Tuen Mun, New Territories. It is a Japanese product from the brand Daiso. They also have a good selection of craft supplies there. I guess you can find similar products in the other stores in Hong Kong. You can use some fabric glue to maintain it in place temporarily. Then take your iron and a thin towel. Iron the chevrons using the towel to cover them. In my case, I had to iron from the inside of the pouch as the leather I have used is thicker than my main piece. The fusible interface shall melt and glue both pieces of leather together. If it does not work, it means the heat did not reach the fusible paper. You can play on the gap between the chevrons. Let’s come back to the feather charm. You just have to cut the outline of the feather in the leather. 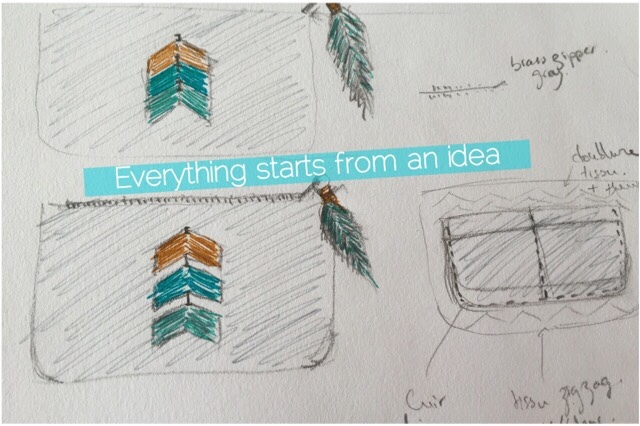 Then, make some thin fringes on both sides and you get your feather. You can even twist it to get the spiral look on the picture. To attach it to the zipper puller, you can use a key ring or any strong ring as you will most likely pull on it instead of your zipper puller (easier to grab). You can add any charm you like such as beads, follow your imagination! Happy crafting everyone, and please share your pictures or comments below. 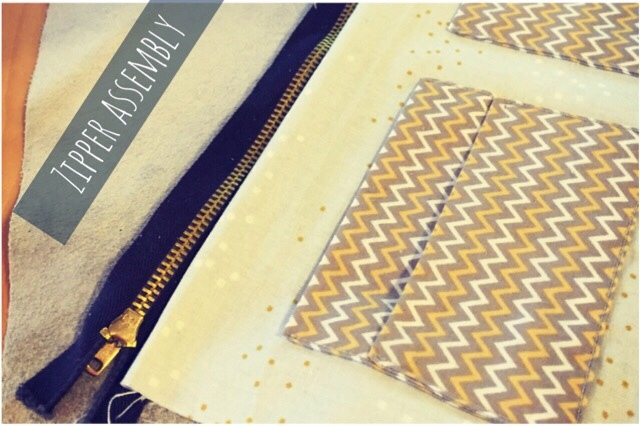 If you are a beginner with leather or simply do not have a sewing machine, you can have a look at my no-sew square envelope leather pouch with free pattern!